When I went to Cal, I lived in the International House for two years. International House is a program center and campus residence for students around the world, including the U.S. Its mission: “to promote intercultural experiences and leadership skills for a world of greater understanding.” At the time, about half the students were from the U.S. and half were foreign students. Living in I-House was a great experience. My roommate was a Chinese Indonesian from Jakarta. I formed friendships with students from all over: Asia, Europe, the Middle East, as well as the U.S. (and, of course, California). It was during a tense political time: the Iran Hostage Crisis. We would gather in the “Great Room” to watch the national news on a big TV (tube, not HGTV). This facilitated some good dialogues that spread to the dining room. I made some lifelong friends, and I-House has an active alumni network. 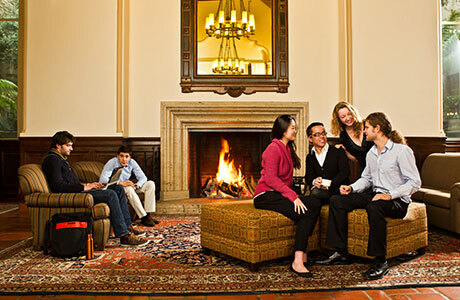 The campus residence is in a wonderful location: At the top of Piedmont Avenue within easy walking distance of campus. It has its own library for studying, the food is good (now better), and I secured a rare parking spot for my Toyota Tercel. Since graduation, I’ve attended alumni gatherings — including some milestone anniversaries. Here’s a new Thanksgiving video where a few International House residents share what they are thankful for on this American holiday. In such polarized political times, it’s important to bring the world a little closer together.